Today is a great day for Virgogray Press as we re-issue Vegas Implosions by poet and musician Chris D’Errico. We are proud to re-release this publication, blossoming from a saddle-stitched, home-made chapbook to a professionally bound and expanded edition that includes new text, as well as a few revisions to the first release. 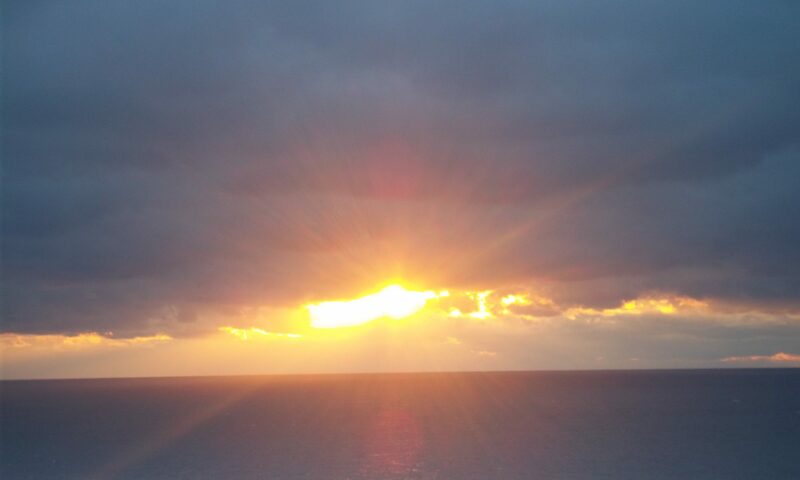 Vegas Implosions is a new book, for a new time in the expansion of our press. Author, Chris D’Errico, was one of the first to contact Virgogray Press in regards to publishing their work and was the first fully realized chapbook we put out back in 2008. Vegas Implosions is a script of poetry that is humourous, surprising, and well-written. 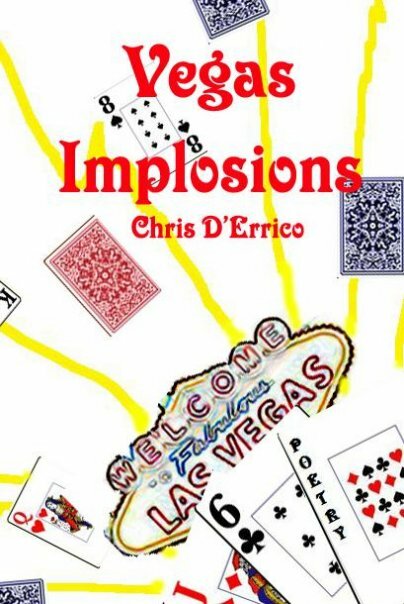 Chris D’Errico’s collection of poetry Vegas Implosions is (other than a down-right, damning indictment) an examination of the sordid city of sin from this Massachusetts born poet, but seeing as this is Vegas, we’re talking about, that’s okay. Now in this new expanded edition that includes the ‘script The Exterminator Chronicles, D’Errico has broken down and recreated a new volume that is a macro and micro cosm of sin city itself, both as a citizen and as an exterminator. D’Errico’s unique visual/graphic poetry, intermixed with his snapshot/sketch type style plays a role as anew generation of beat-flavored poetry captures the Vegas landscape. D’Errico is no-holds-barred as he takes you from the airport, to the gas station, to the seedy, cheap hotels at the Southern end of the Strip, all with the narrative voice that is colloquial and captures the essence of a semi-jaded residents “cleaning up / after celebrities, frat boys, call-girls & family men.” It is the wit and wisdom of this collection that keeps people coming back, and really one that makes Vegas Implosion a kind of hitchhiker’s guide through sin city. In the mix of new poems such as “777,” “Tireless Vector of the In Between,” “Mojave Meditation,” ” Terminal Afflictions (Scenes from the Airport)” and “Pawn Shop Tattoo” readers will find revised or remixed verse scrambled into new order that remains true to the original vibe of the first edition chapbook. The Exterminator Chronicles presents a bounty, a look into the secret life of an exterminator–and surely, we’ve yet to find exterminator poetry, at least none written so keenly. Very funny verse ensues (the poem “Black Flag” is a real kicker) from rats to roaches, to pigeons and vinagaroons and cats (!?! — you gotta read to find out! )– The Exterminator Chronicles will surely entertain, but reader be warned: “Small vermin were harmed in the making of these poems!” A highly unique look into the life of a poet unlike most, Vegas Implosions and the Exterminator Chronicles is sure to refresh the tired, poetry reader. And so it is, this new tome from poet Chris D’Errico now available from Virgogray Press. Be on the look out for Ministry of Kybosh, also by Chris D’Errico, coming soon!